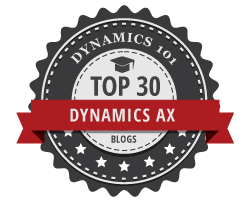 This post deals with the question how Dynamics AX decides which cash discount account to use when posting vendor cash discounts that get deducted when paying vendor invoices. 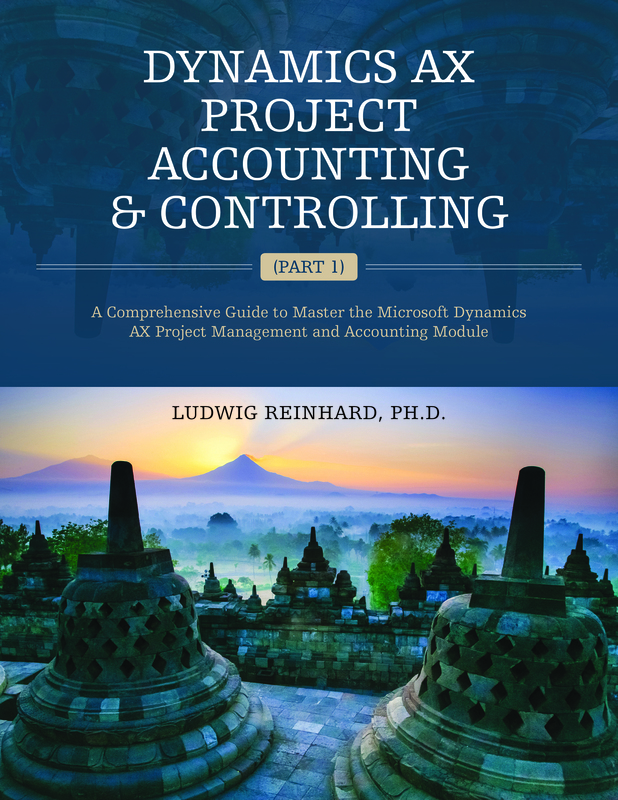 Answering this question might seem straightforward especially for those of you who already worked with Dynamics AX for some time. 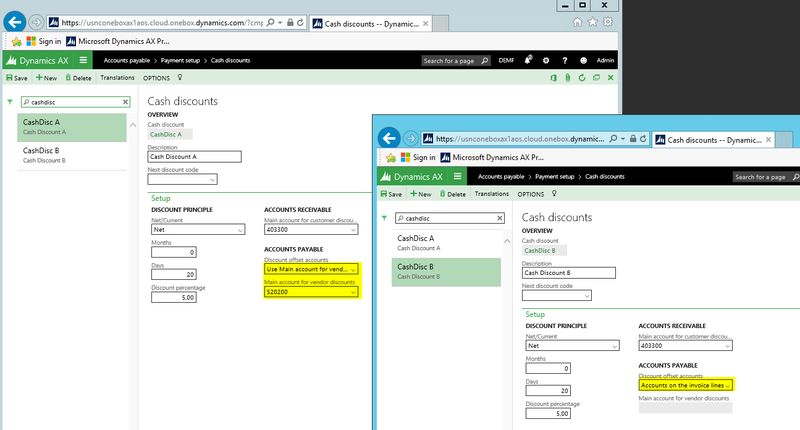 Yet, recently – with AX2012 R3 – a new feature was added to the Dynamics AX cash discount form that offers new possibilities for recording cash discounts. 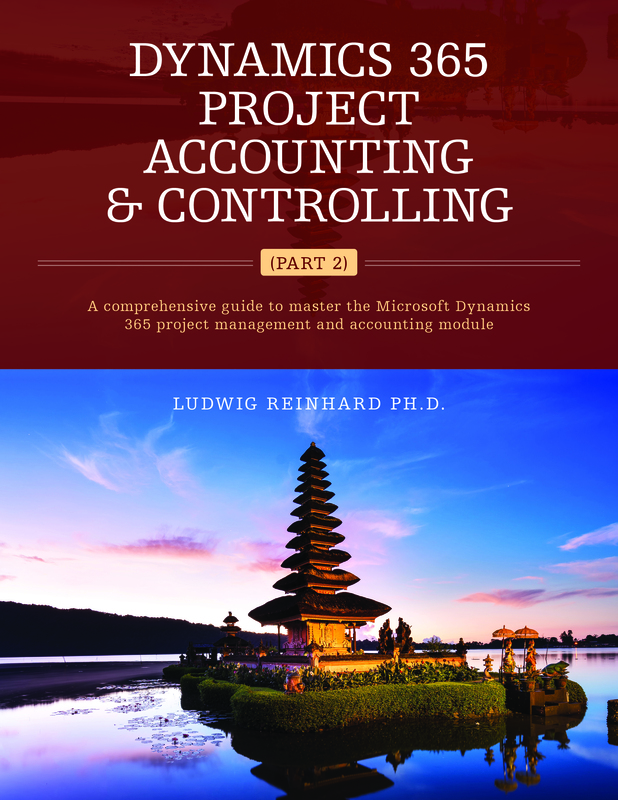 The feature I am referring to is a Dynamics AX public sector functionality that can generally be made available also for companies not operating in the public sector by activating the respective configuration key in the system administration module. If this configuration key is enabled you will find the following new parameter in the cash discount form that allows you specifying whether the cash discount account shall be taken from the cash discount form (as before) or from those accounts that are used when recording the invoice. 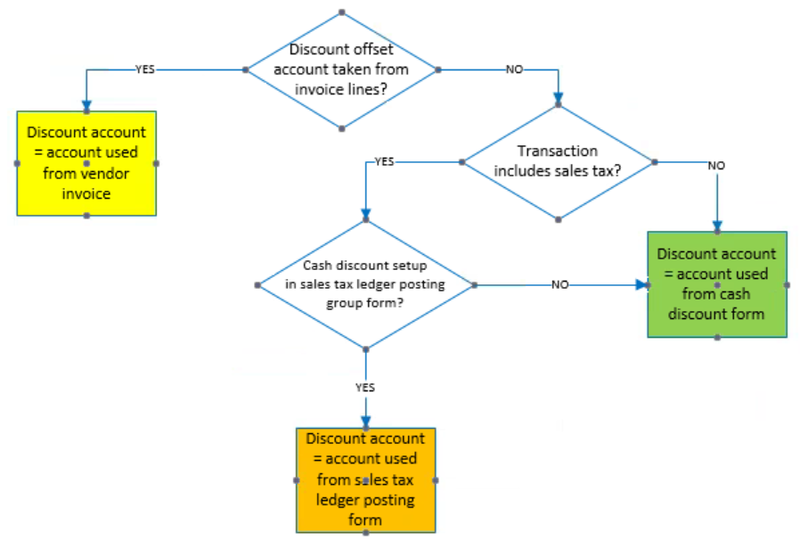 With this additional possibility in place I created the following graph that illustrates how Dynamics AX determines the ledger account taken for posting cash discounts. 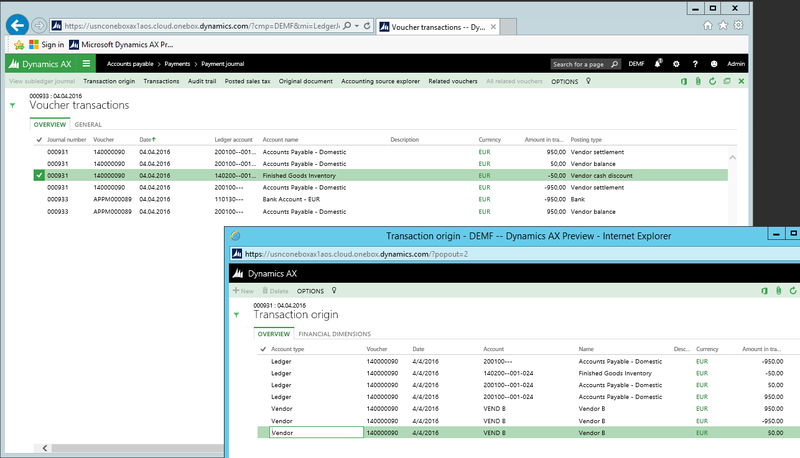 What this graph tells you is that Dynamics AX uses the main accounts that were used when posting the original vendor invoice for posting the cash discount if the new parameter is set to “accounts on the invoice lines”. If the new parameter is set to “main account for vendor discounts”, AX uses the ledger account from the cash discount form for posting the cash discount given that the original vendor invoice has been posted without sales tax. If the original vendor invoice is posted with sales tax and if a vendor cash discount account is setup in the sales tax ledger posting form, Dynamics AX uses this account instead of the one from the cash discount form. In other words, the cash discount account setup in the sales tax ledger posting form overwrites the one setup in the cash discount form if the original invoice includes sales tax. 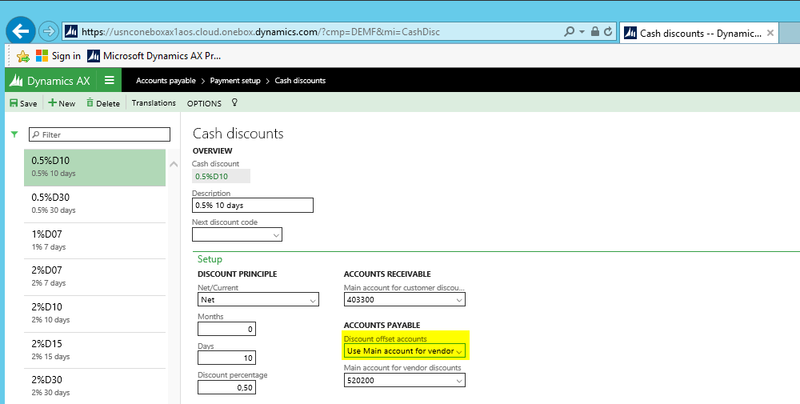 In order to show you the difference in activating the new parameter, two cash discount codes have been setup; one with the standard AX functionality that has already been available in prior Dynamcis AX versions (“cash discount A”) and one with the newly available parameter set to invoice lines (“cash discount B”). Please see the next screen-print for details. As cash discount accounts can also be taken from the automatic posting accounts setup in GL, a separate vendor cash discount account (no. 520208) has been setup in this form to clearly identify situations where the vendor cash discount account is taken from the automatic accounts setup in GL. What has been said for the automatic posting accounts in GL also holds for the vendor cash discount account setup in the sales tax ledger posting form. That is, in order to identify situations where the cash discount account is taken from this form, a separate ledger account (no. 520209) has been setup as illustrated in the next screen-print. 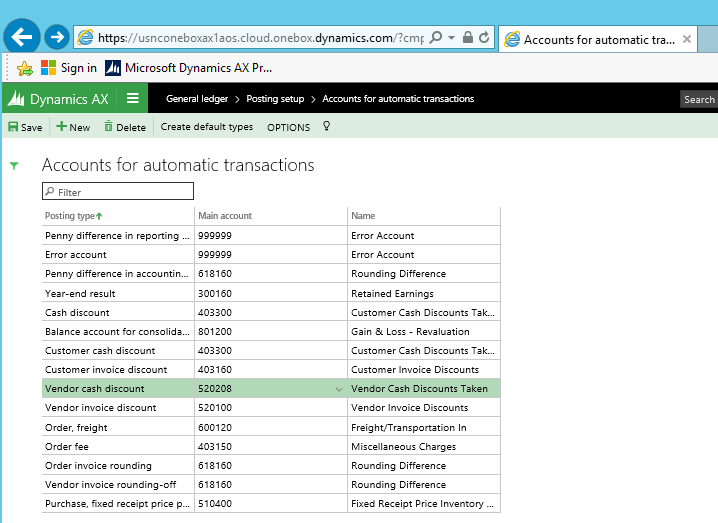 Now let’s have a look at some sample transactions in Dynamics AX. With the setup illustrated in the previous chapter in place, the following four vendor invoices have been recorded in an ordinary vendor invoice journal in Accounts Payable. the last invoice is posted with the second cash discount code setup (“cash disc B”) without sales tax. For the first invoice, the cash discount account is taken from the cash discount form. For the second invoice, the cash discount account is taken from the sales tax ledger posting form as the second invoice has been posted with sales tax. 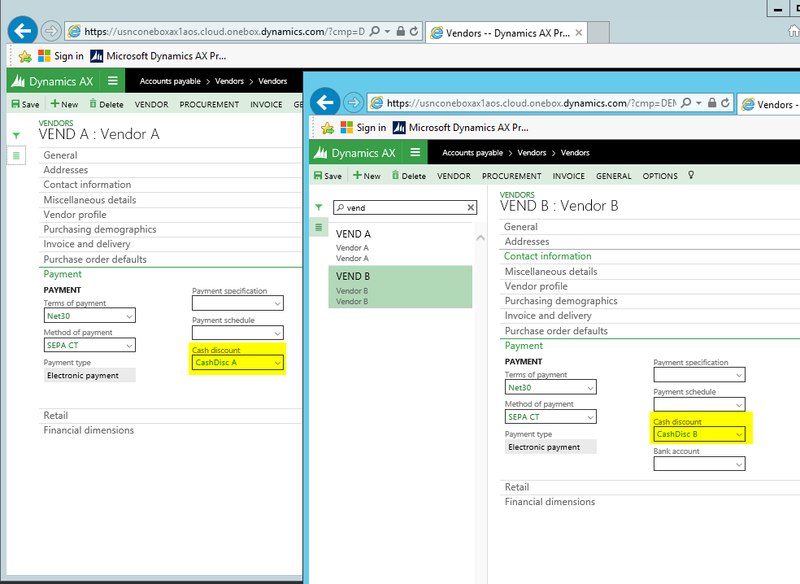 (Please note that Dynamics AX splits up the total sales discount in a net and tax correction amount). For the fourth invoice, the cash discount account is once again determined by the expense account that has been used when recording the vendor invoice. The cash discount postings for the third and fourth invoice nicely illustrate the overwriting effect of the newly available cash discount parameter. the sixth invoice is posted with the second cash discount code setup (“cash disc B”) but without sales tax. For the fifth invoice, the cash discount account is – as usual – taken from the cash discount form and posted as a single amount. For the sixth invoice that uses the new parameter, three cash discount postings are generated based on the expense accounts that have been recorded with the original vendor invoice. For details, please have a look at the next screen-print. In this final sub-chapter I want to take a look at those invoice transactions respectively payments that do not use a ledger account as offset account. The first transactions I want to take a closer look at are fixed asset transactions. Fixed asset transactions are “special” when it comes to cash discount postings as a separate fixed asset parameter exists that defines whether cash discounts shall be deducted from the fixed asset value or not. (Please see the next screenshot). In order to identify the effect that the new cash discount parameter has on fixed asset cash discount postings, the subsequent transactions are first recorded with the fixed asset parameter activated and thereafter without having it activated. To identify what difference the new cash discount parameter makes to fixed asset postings, two fixed asset invoices have been recorded; the first one with the ordinary cash discount code “A” and the second one with the newly available cash discount feature “B”. (Sales taxes are ignored for reasons of simplicity). If you compare both payment vouchers, you will notice that the newly available parameter does not make any difference as the vouchers are identical (except for the amounts). Let’s now have a look at some similar fixed asset transactions with the fixed asset parameter “deduct cash discount” deactivated. To realize that, some similar invoices for two fixed assets have been recorded and been paid thereafter. For the first vendor invoice that uses the “traditional” cash discount feature, the cash discount is now posted on the cash discount account that has been setup in the cash discount form. That is, the fixed asset value is – as one would expect – not influenced by the cash discount taken. On the other hand, the cash discount for the second vendor invoice that has the new cash discount parameter activated is posted on the fixed asset ledger account. Yet, the transaction origin form indicates that there is no corresponding posting in the fixed asset module. As a result, a difference between the GL and fixed asset balances results! Thereafter, two identical purchase orders have been setup, invoiced and paid in order to compare the vouchers generated. 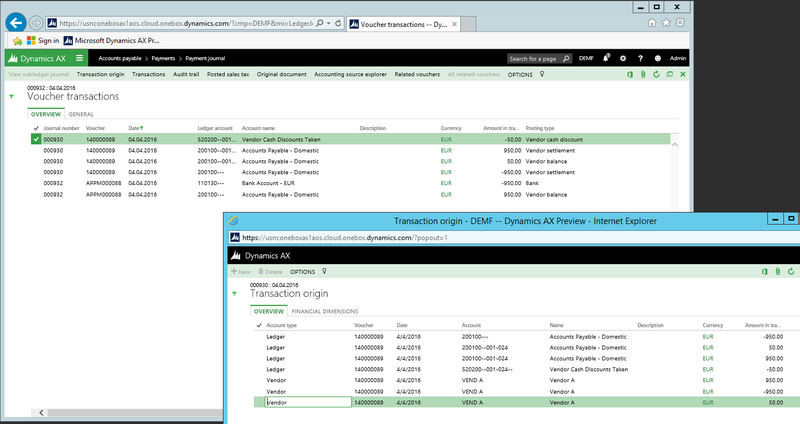 For the first purchase order invoice, Dynamics AX used – once again as expected – the ordinary cash discount account that is setup in the cash discount form. The next screen-print shows the voucher generated for the payment of the second invoice. As you can identify from this screen-print, the cash discount taken reduces the inventory balance of the purchased items on the inventory account (no. 140200). Unfortunately, this transaction does not have any effect on the inventory module as the transaction origin window indicates. For that reason, a difference in the inventory balances in GL and the inventory module results. To sum up, using the newly available cash discount functionality that allows recording vendor cash discounts on the ledger accounts that have been used when recording the original vendor invoice can be interesting for expense transactions that use a ledger account as offset account. That is because the new functionality allows you identifying the net effect of those transactions without having to add up amounts posted in different ledger accounts. Yet, as soon as it comes to fixed asset or inventory related transactions, things can go terribly wrong; meaning that the new cash discount parameter can result in differences between GL and sub-ledger balances.